This is the story of a true original... a woman who dominated the extreme sport of dog sled racing for years, was a four-time winner of the Iditarod (the grueling, thousand-mile race across Alaska). Susan Butcher, a legend of the Alaskan frontier, died at the age of 51 from Leukemia, but at the peak of her career as a racer, she gave this revealing interview. 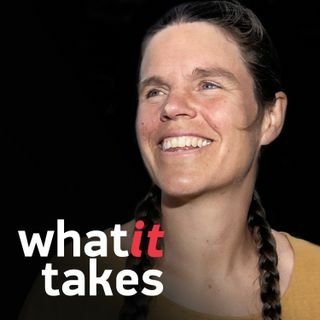 In it, she explains why she chose to live in a cabin without running water or electricity, 40 miles from the nearest neighbor, in ... See More weather conditions that most could not survive. She also describes the resistance she faced from male mushers during her early years as an Iditarod competitor. And she talks about the profound, almost mystical relationship she had with her beloved dogs.